Your Complete Energy Management Solution. 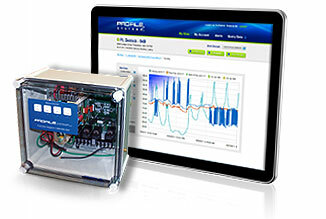 Monitor, manage, and control your HVAC units. Save money by creating a lighting management solution for parking lot lighting, shopping center lighting, street lighting, and other types of lighting schedules. Monitor refrigeration and freezer temperatures at your restaurant, convenience store, or grocery store. All your energy management systems can be handled remotely at anytime and anywhere using our wireless software system . We also have customer phone support 24 hours a day and 365-days-a-year. We work with many malls and retail shopping centers, convenience stores, QSR and casual dining restaurants, as well as banks, government entities, and warehouses. Gamut Systems & Solutions also has a close working relationship with the United States Army and the Department of Energy to test our products before they are used commercially. These tests are used to make sure businesses can reduce energy consumption while lowering operational costs and reducing carbon emissions. Burger Boy Simulation View our energy management system in a typical restaurant environment. Software Demo Login & see for yourself how intuitive & easy to use Gamut Systems & Solutions energy management software actually is. Lighting Energy Savings Calculator Calculate your annual savings by using Gamut Systems & Solutions to manage your lighting energy consumption.